Why is agile management so difficult? David J. Anderson begins as agile manager within the 90’s. The basic goals of this position had always been pretty simple: achieving sustainable work speed while reaching the business targets. Each position has its challenges. 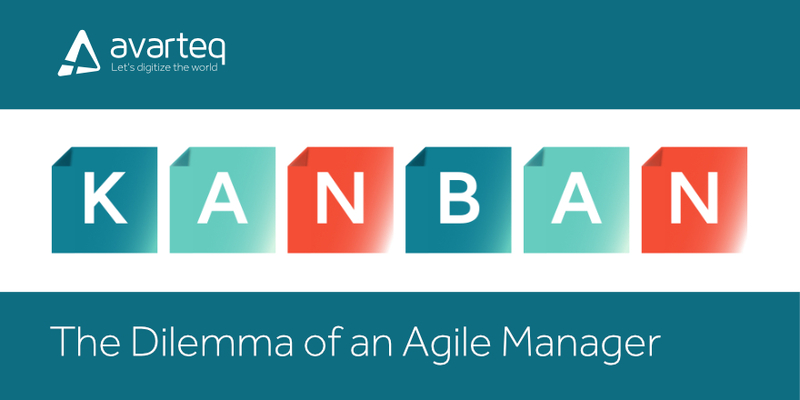 In case of an agile manager, the most common problems met in the day-to-day work were crazy, unrealistic project plans and reluctance of the employees towards changes. This combination always leads to one scenario: the loss of quality of work and spirit of the employees. He thought at this point, that it’s management concepts are pretty good, they were easily applied to single teams, however they always required an adaptation to the particular situation. This means, a “one-size-fits-all” management procedure doesn’t exist, unfortunately. Based on the ideas of Eliyahu M. Goldratt, the Theory of Constraints, turned out to be the milestone. It helped to develop an incremental management system in which constraints are recognized and eliminated and therefore new ones arise. The system he had was Drum-Buffer-Rope based, with some visualization possibilities, allowing immediate detection of constraints . Drum-Buffer-Rope is a so called “Pull-System”, which means, a task only comes to the next station, if the previous is done with it. This concept helps to mark the border for the work in progress. So the author presented his system at various conferences. Once, the presentation was noticed by a colleague who then suggested the work is very similar to the Kanban method. Kanban is a solution for process controlling originally developed by Toyota in the 50’s. It enables continuous improvement, thanks to the visualization of the work in progress and the constraints. Avarteq uses Kanban since for few years now. At the beginning we changed from a list based task visualization to a flow based task visualization. Once the constraints were visible we could easily show them to our customers, which improved our customer services and relationships significantly. I personally think Kanban is a very good concept allowing continuous improvement of workflows. Thanks to the Kanban Board, everyone has the same view on the workflow and this makes it easier for the management and the employees to work together. Kanban keeps the managers pleased, because they see the work getting done. They can also detect how the workflow can be improved. It also helps to make the employees happy, providing them a sustainable pace of work. Goldratt, Eliyahu M., What is this thing called The Theory of Constraints and How should it be implemented?, MA: North River Press, 1999.